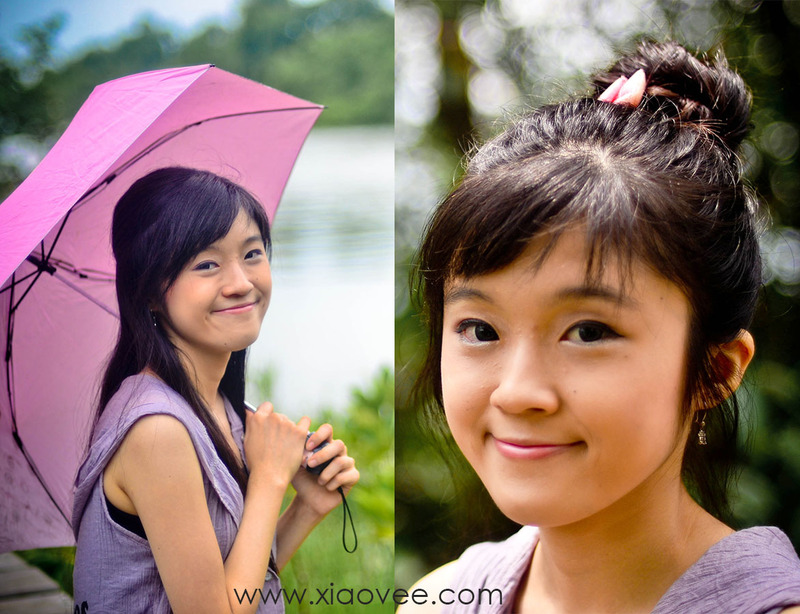 Xiao Vee: Indonesian Beauty Blogger: Diary of My Braces (Part 5): Farewell Braces! :D What's Next? 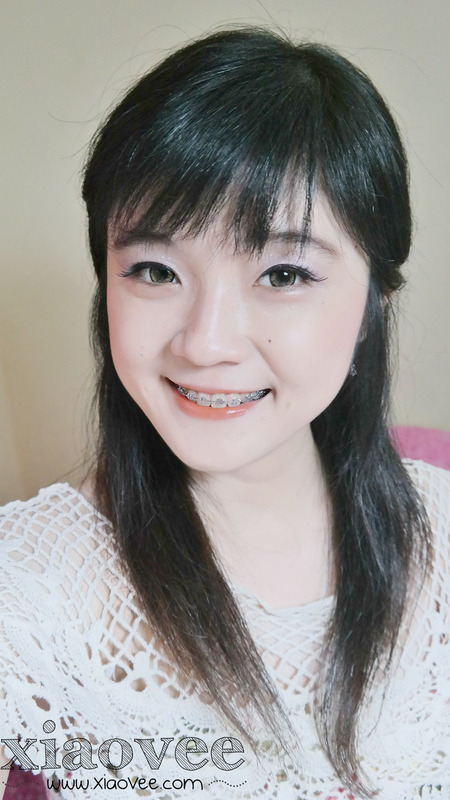 Diary of My Braces (Part 5): Farewell Braces! :D What's Next? Hello everyone! I'd like to welcome my new followers ^___^ Hopefully you'll enjoy my blog! My braces was taken off on 18 June 2014.. I took few hours to write down this post, because it becomes slightly longer than I've expected. LOL. 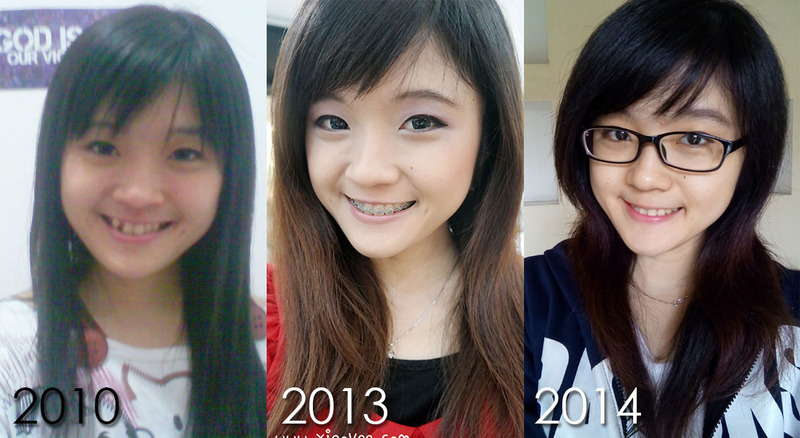 Before show you the result..I want to remind you how I used to be.. If you have any question, please read these posts first.. Maybe those answers were on these posts already.. It also called as Invisible Retainer or Vacuum Formed Retainer. Clear retainer is thin braces made from a sheet of clear plastic, which looks similar to a gum shield in shape. It reminds me with Invisalign :p My orthodontist didn't recommend me to use this clear retainer, because it's not as effective as the steel wire retainer, and can be broken easier. 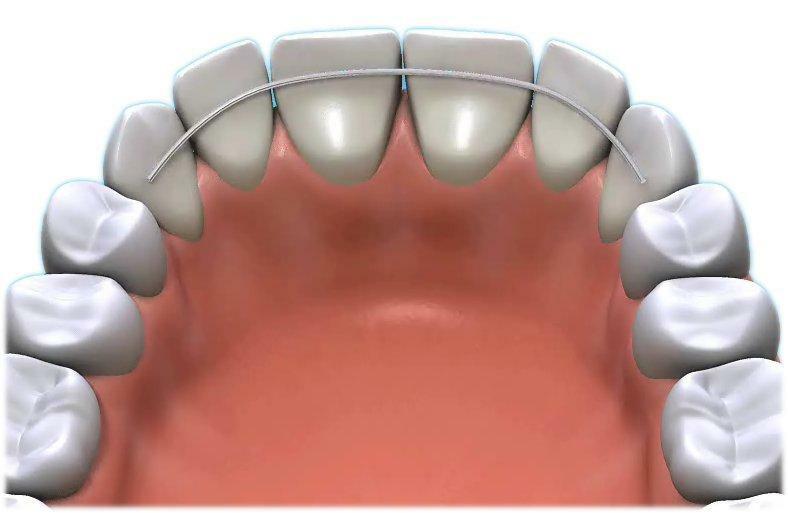 The most common retainer that patients often use. 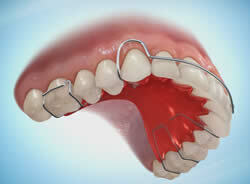 Steel wire retainer or Hawley Retainer is a removable braces made from plastic and stainless steel wire. This retainer is used to keep teeth straight after the orthodontics braces are removed. A bonded wire retainer is a small wire glued to the inside of the top or bottom front teeth, it's glued permanently to retain or hold the shape of teeth. Fixed retainer needs extra care when cleaning teeth and wire retainer. A bonded fibreglass retainer is a tooth coloured strip of material fixed to the inside of your bottom or top front teeth. The bonded fibreglass retainer works as a support to the teeth to prevent them moving out of line after the removal of a brace. The fibreglass adds strength to the composite filling material that is used. It makes it rigid enough to hold the teeth straight. With retainer on, I can't talk properly >___< Haha. 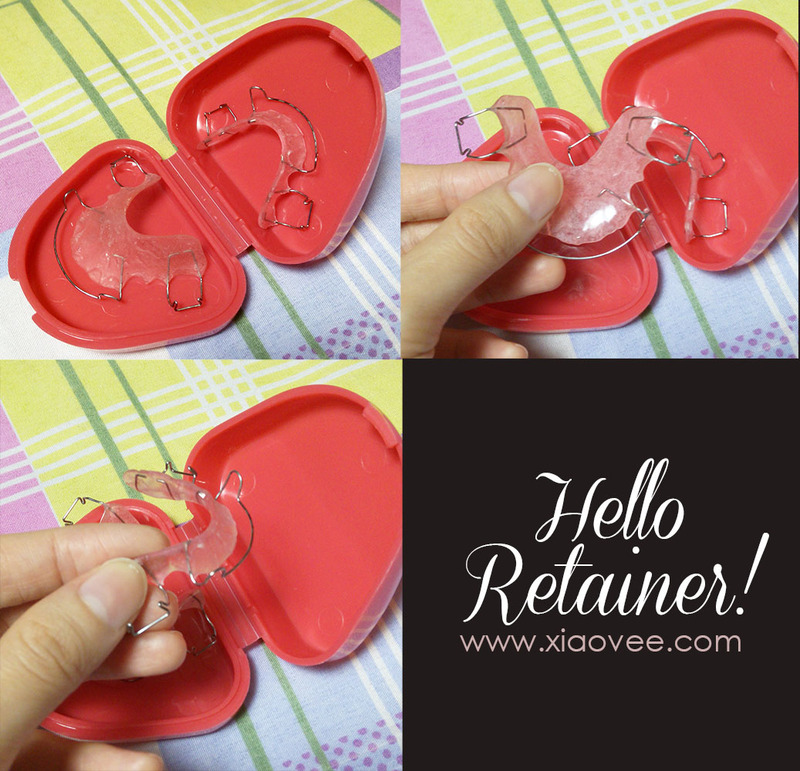 My orthodontist also highly recommend me to wear this retainer diligently for around 2-3 years.. 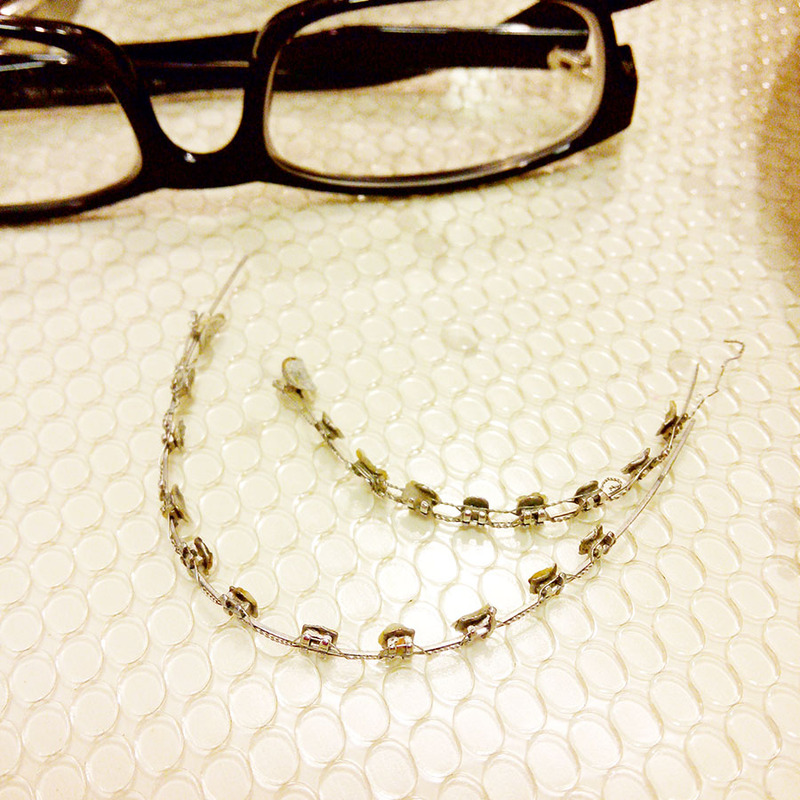 Anyway.. retainer tastes bad T___T I feel like eating plastic stuff! Yes, my teeth have become straight, neat and tidy now! :) I'M SO HAPPY!! 1. 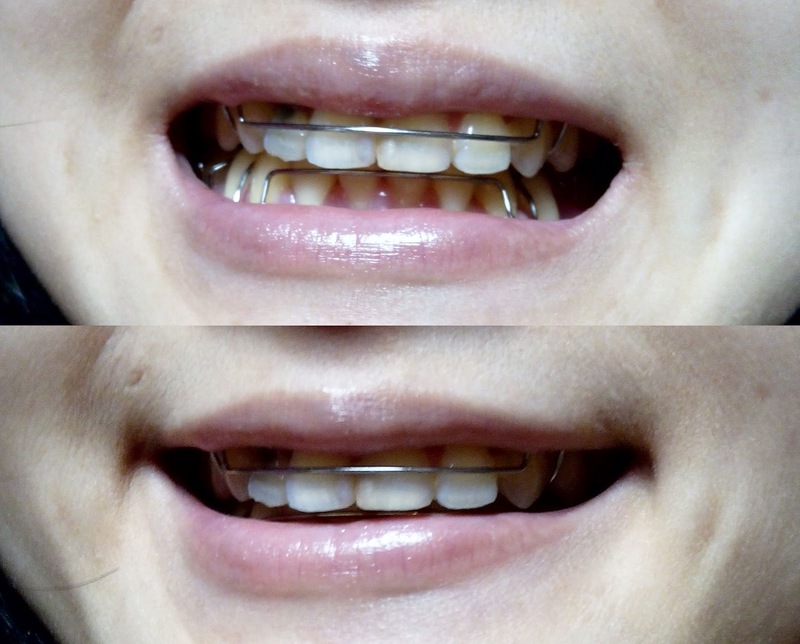 Question: I want to align my teeth, but those braces seems bring much troublesome. Can Orthodontics Retainer replace Orthodontics Braces role? 2. Question: Are retainers removable? Answer: Steel Wire and Clear Retainers are removable, but Bonded Fibre Retainers and Bonded Wire Retainers are permanent. 3. Question: Can I eat with retainers on? 4. Question: How long will I need to wear it? Answer: At least one year following the braces removal. Many orthodontists now recommend wearing your retainer until 2-3 years following the braces removal. 5. Question: What will happen if I don't wear the retainer as recommended? 6. Question: What is the advantage and disadvantage of steel wire retainer? Answer: It's removable, and more durable compared to clear retainer. The only disadvantage of steel wire retainer is, it makes you can't talk properly :p haha. 7. Question: How do I clean my retainer? Answer: You should use a toothbrush and soap. Do not use toothpaste as some products can damage the plastic of the retainer. If you are cleaning the retainer over the sink, as a precaution put water in the sink in case you drop the retainer. Proprietary cleaning agents are available. And my teeth seem replied.. "YES"
I still have another problem.. like I've said in this post, I have one dead tooth (or called as non vital tooth).. During these 2 years, this dead tooth was hided by bracket and become less noticeable..
After the braces taken off, my dead tooth definitely become more noticeable.. In order to make my teeth become perfect and more appealing, my orthodontist advised me to do Gum Reconstruction right before Dental Crown installation.. :( Because if I do gum reconstruction now, the discoloration of my dead tooth will be more visible..
Alright, it's become more complicated now..
All the blood vessels and nerve fibers are located in the pulp and this means that when the pulp is dead, then the tooth is dies as well. What can happen if a tooth becomesnon vital, and why does it die? 1. Tooth decay or a bacterial infection, when left untreated, will begin to invade deeper into the tooth eventually penetrating through enamel and into the second layer, the dentin. When the decay or infection reaches deep inside the tooth, the cells of the pulp try to fight it off by triggering the inflammatory process. This includes action by the white blood cells. Pus develops when some of the white blood cells die during the battle against the infection. If the infection is not treated at this stage, all the white blood cells will die and the blood flow will stop completely.When this occurs, tooth sensitivity is usually the first sign of trouble and this sensitivity will eventually reach the pulp and results in a severe toothache. 2. Dental Trauma – This can occur from traumatic injuries, falls, severe grinding and clenching, biting into very hard objects, and sometimes idiopathic internal resorption (a tooth self destructs from the inside out for no apparent reason) . When dental trauma occurs, the blood supply can be severed immediately, resulting in the pulp dying off. Sometimes it is a slow progressive breakdown as teeth wear and crack from bad oral habits. Prevention is the key whenever possible. This is why sports mouth guards are recommended for all contact sports activities. Nightguards are recommended for clenchers and grinders. Extremely hard foods should be avoided such as popcorn kernels, corn nuts, and the mouth should not be used in place of tools such as scissors or a bottle opener. I can hide the darkened tooth in front of camera, but it's hard to not laugh widely in real life, and surely everyone can see my dead tooth..
For aesthetic purpose, my orthodontist advised me to install Dental Crown. 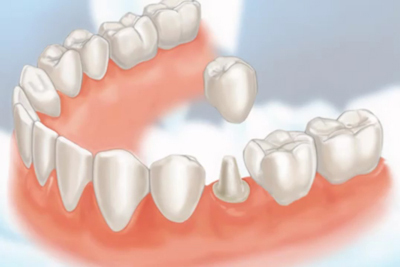 A dental crown is a tooth-shaped "cap" that is placed over a tooth - to cover the tooth to restore its shape and size, strength and improve its appearance. Dental crown is different with Dental Bridge. 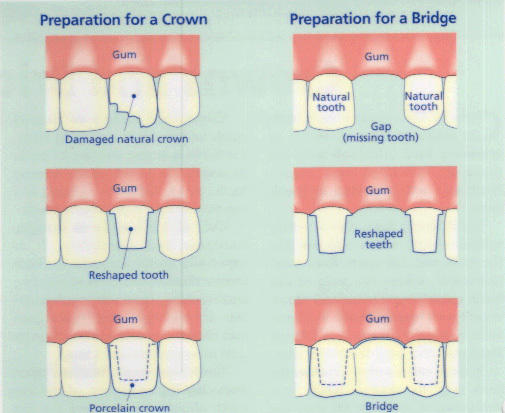 Dental crown can be applied to broken or dead tooth, while Dental Bridge is applied to missing tooth. 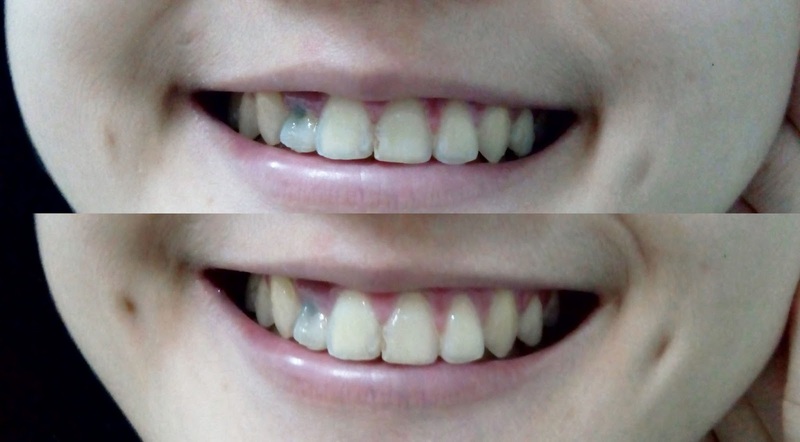 I feel quite insecure with my visible dead tooth T___T It's so less appealing..
What should I do next? Anyone has experience regarding dead tooth treatment and dental crown? As you can see.. my two wisdom teeth have waken up and disclosed their crowns.. Somehow, I'm worried these wisdom teeth will press my aligned teeth and make them become crowded. .. I still have retainers to guard my teeth shape :P yay! At least for now, diary of my braces has end here.. 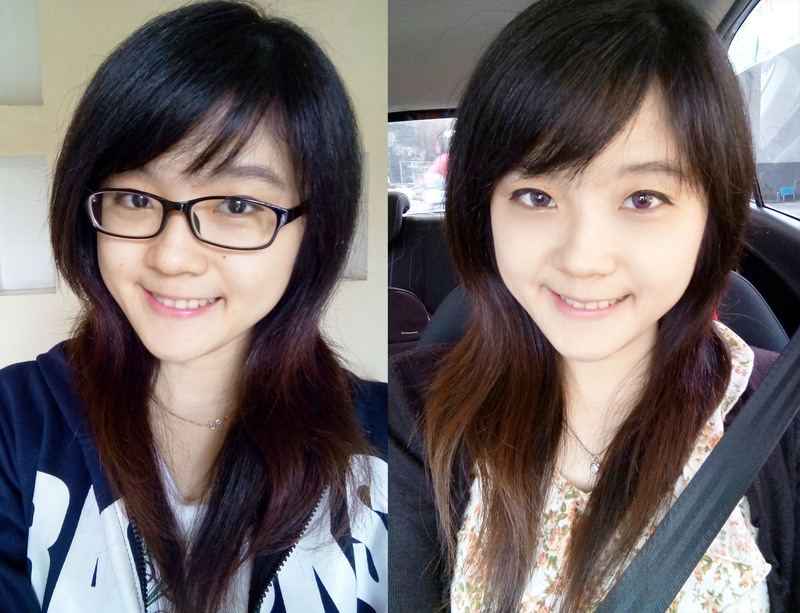 I think.. My face structure somewhat changed after my braces taken off, and it helps a bit to reduce the appearance of my chubby cheeks XD What do you think? 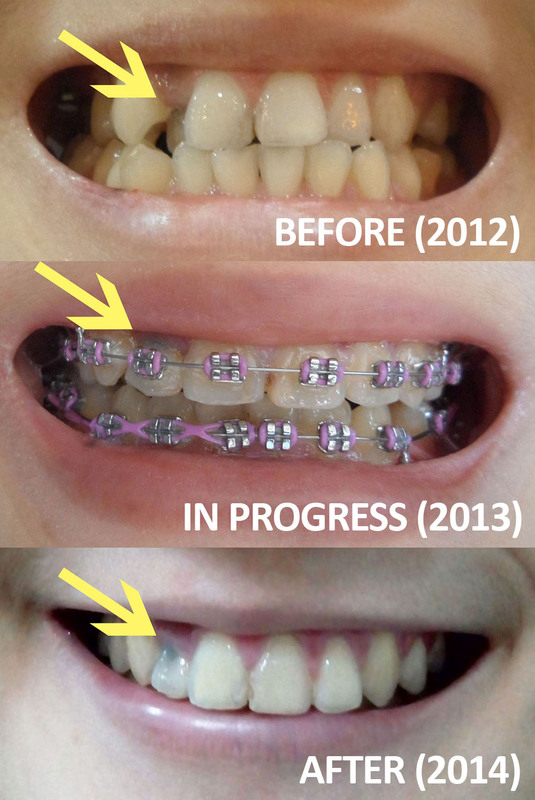 TIPS: if you are planning to install braces someday.. you shouldn't skip monthly control! Remember that no pain, no gain! 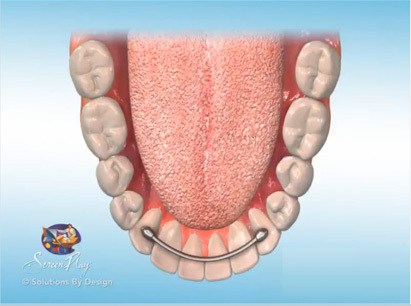 If you have any question regarding braces and retainer, please do comment! About dental crown, my mom had plenty of dental procedures, since their teeths were in bad condition. 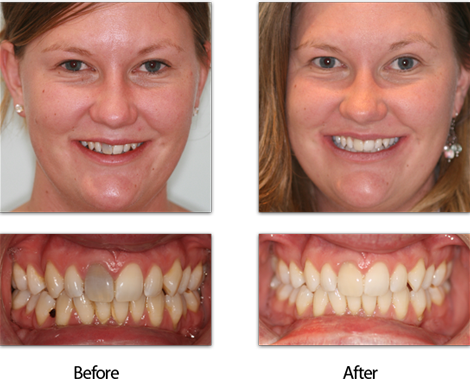 She had many dental crown and day & night she must use a orthodoncic treatment. Smile is a precious thing that we won't value until we can't show it. Can't find the word to that object. It's like a removable piece that have some artificial teeth, that's because she lost many. Here in my country (Chile) the government launched years ago a program called "Women's Smile" that helps to poor women to bring back their smiles (oral healthcare). kalo 22 thn setauku gigi uda ga bs tumbuh lagi ._. Bikin BB turun gak di kakak? 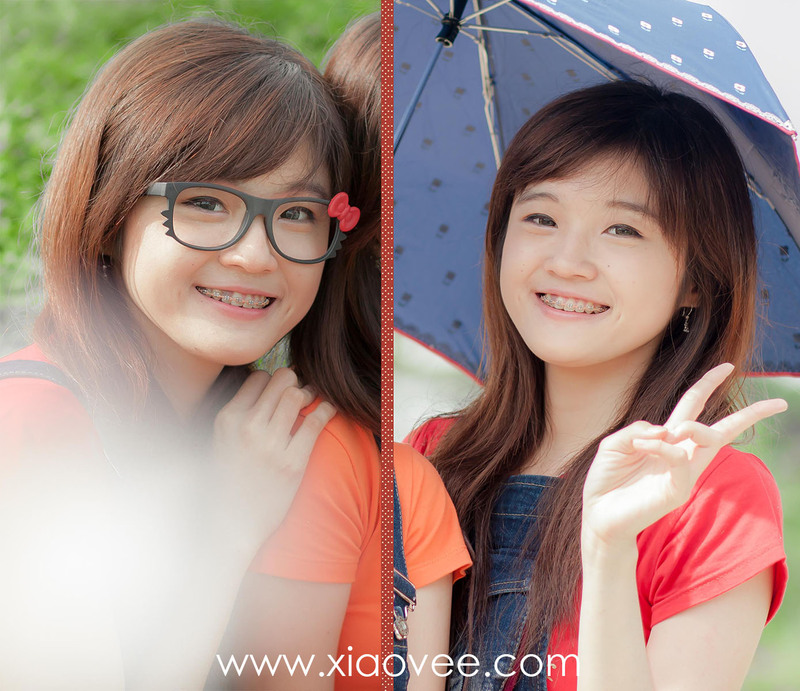 habis liat foto yg dulu2 chubby ya XD apa itu karena gigi? 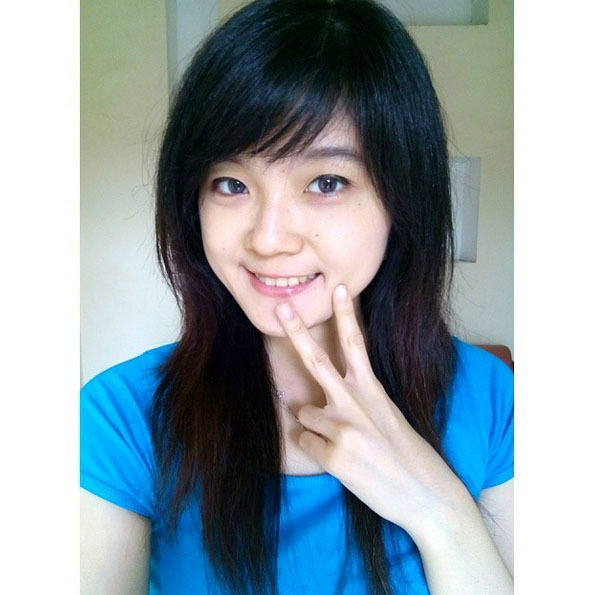 tanpa behel jd keliatan fresh banget shel.. hiihi makiin unyuuu..
Pasang crown aja vee .. gigi depanku jg ada yang pake porcelen crown, mintanya yang full porcelen aja jangan semi porcelen kalo yang semi porcelen metalnya nembus warnanya jadi suka belang warnanya sama gigi sekitarnya. 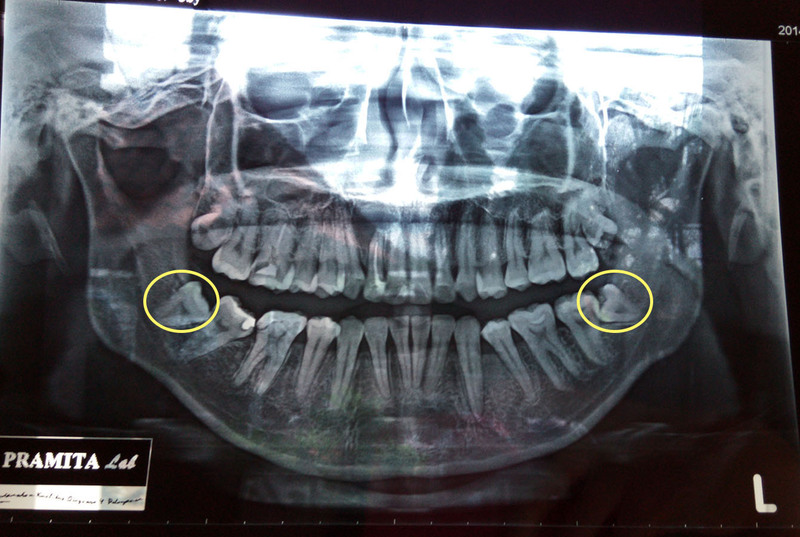 Eh aku juga ada wisdom teeth juga loo malah ada 4 semuanya di dalem rahang semua gak muncul di gusi sama sekali yang di lower jaw malah tumbuhnya vertikal semua, udah dioperasi 2 tinggal 2 lagi di upper .. Diambil aja vee daripada bikin crowded lagi loo dia kan nabrak gigi depannya kalo lihat ronsenmu gigi wisdom-mu masih muncul vee jadi di extraction aja sama mungkin sedikit disayat aja kok..
Foto lama kamu unyu banget shel..Gemesin deh. Ahhh.. tp aku takut klo hrs operasi gigi T.T lumayan mahal pula hiks. So pretty without your braces.. hihihi..
Pingin juga pake braces buat gigi depanku, tapi masih bingung, ditambal apa dikawat yaa.. hahaha..
Hi ci Shelvi.. Salam Kenal..
Kalau soal dead tooth sih kurang tahu ya.. tapi waktu SD pernah jatuh, terus gigi depan patah gitu, jadinya nggak full..
Kemudian dibawa ke dentist dan ditambal.. Nggak tahu sih if that can be applied to dead tooth atau nggak..
Btw I also wore bracess since Junior High.. Karena mamaku yang suruh sih.. and now I use retainer.. tapi karena jarang makai jadi agak renggang gitu.. Musti lebih rajin pakai retainer nih.. Kata dokterna sih sekarang 2-3 hari pakai sekali aja..
Hi Deci, sorry for late rep.
xiao vee, mau tanya sekarang perkembangan dead tooth mu gimana ya? dan itu kenapa bisa ada dead tooth?